British brand, JD Williams has newly launched an autumn-winter 2016 collection with abundant offerings that will get your wardrobe ready for the season. They carry menswear, children's ranges, women's plus sizes and even accessories, amongst other lines. This is a brand with plenty of items for the entire family, which also includes schoolwear and products for the home. I also like that JD Williams is actively involved in upholding ethical trading practises. I recently perused their autumn-winter 2016 line and curated some of my favourites to share with you. This style board is blended with layer-friendly knits, classic pieces like the red bouclé cape, and of course, shoes! When it comes to the autumn season, boots are essentials to think about, however light to medium-weight knitwear doesn’t get enough deserved attention. Above: Joe Browns Snugly Scarf Neck Sweater, Joe Browns Butterfly Dress, Roll Neck Poncho, and Button Down Sleeve Midi Shirt Dress. Knitwear can ultimately be just as versatile as a maxi dress—both can work effortlessly—for day to night occasions. Dress up knit separates with sparkled jewellery or dainty accessories for day, or add a statement cuff to a simple silhouette for night. It doesn't have to be bold, statement pieces, or neckwear pieces to look contemporary, trendy, and sophisticated. 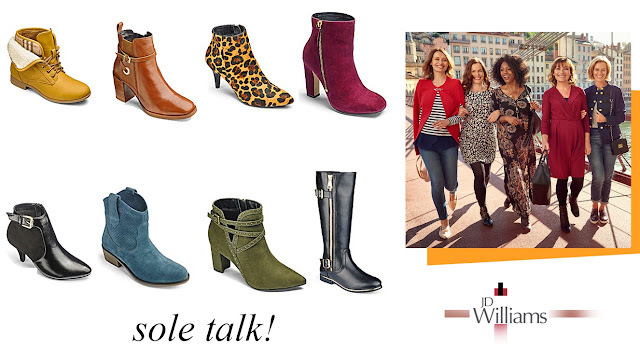 You can expect everything from OTK boots to ankle styles with small fashionable details to love. As I've mentioned previously in the past month, I personally could use a new pair of ankle booties this season, and there's much on my "wish list." Now that I've been doing online browsing, it's getting easier to narrow down my scroll of favourites. 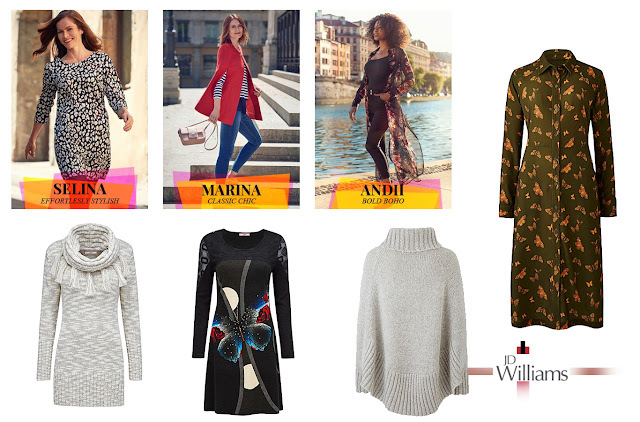 Shop the new autumn collection at JD Williams here. 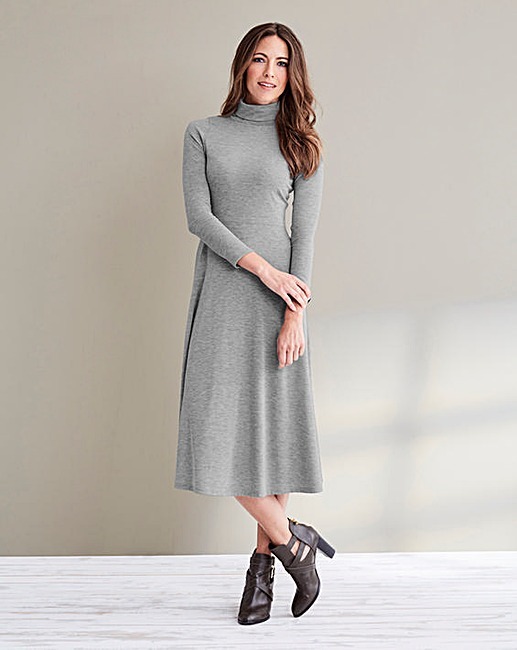 Above: Rib high skater dress in grey. This post is a collaboration brought to you by JD Williams.co.uk. All content and opinions expressed are my own. View my favourites from the boot collection below. What boot styles are you wearing this season? Top Row: Sole Diva Fold Over Faux Fur Ankle Boot, Heavenly Soles Tan Boot with Gold Trim, Lotus Leopard Ankle Boot, Sole Diva Square Toe Fuchsia Boot. Have you shopped at JD Williams? Elegant and chic I could see you rocking it doll. Amazing picks! Love those booties!